Let’s get your scores sounding epic with best orchestral plugins and libraries for your music production projects. Quick answer: Best Service The Orchestra and EastWest Hollywood Orchestra are two of the most top rated orchestra plugins on the market, particularly when it comes to big cinematic scoring. SONiVOX Film Score Companion and Garritan Personal Orchestra on the other hand continue offer top value for less, and for that reason they should not be ignored. A fairly lightweight plugin that will give you professional scoring and composition sound quality without consuming your drive, or your savings. A collection of 5 individual orchestra plugins bundled together to provide a high quality scoring swiss army knife for a fraction of the prince. One of the big names out there with a sound just as big, suitable for Hollywood type scoring. Relatively new orchestra plugin, but with a modern hollywood sound and also very sleep and modern GUI. Perhaps the most well known in this list, it’s impossible to go wrong with this industry standard for orchestration and scoring. 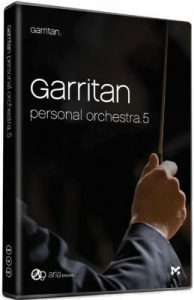 Garritan Personal Orchestra 5. Garritan Personal Orchestra has been around for a while, since 2004. But the recent release of version 5 is fit for modern film scoring and music production. It’s one of the most trusted names out there, and around forums online you’d find a lot of producers recommending this, including us. It’s also a fairly lightweight plugin for a professional sounding orchestra plugin, making it great if you can’t fathom giving away 50+ GB of storage to a plugin. With that said, let’s take closer look. Personal Orchestra 5 is like the name suggests, it’s a fairly lightweight orchestra library that weighs in at just under 12 GB. Despite that, it has all the instruments you’d need for your projects. The brass section consists of trumpets, trombones, French horns and tubas that can play in ensemble or solo mode. You get keyboards like a celesta, two concert grands, two baby grands, pipe organs, etc., to name a few. Plus a selection of harps with glissando motion. There is even a choir selection, which include soprano solo, children’s choir, bass, tenor, alto, and, boys choirs, and, of course, a full choir. Naturally you have every string instrument that can play either in ensemble or solo mode, and a choice of pitch and unpitched percussion instruments. The library was sampled from real orchestra instruments performed by professional orchestra musicians. Those who used it are satisfied with the human-like realness of each performance, making it easy to make orchestral music without too much programming. The software itself is fairly simple and easy to use. There aren’t going to be any super advanced controls, just typical ones you will find within a plugin like this, to control articulation and some basic effects. However, the simplicity makes it great any user who needs realistic sound performances of symphonies and orchestral music. And because of that, the specs are fairly lightweight. Windows 7 or Mac OS X 10.8 and higher are required, running on at least a dual core processor and at least 4 GB of RAM. 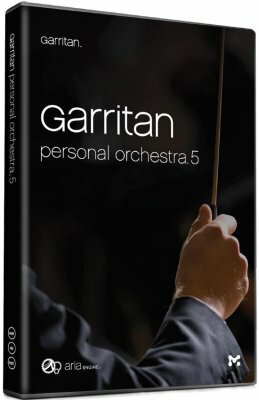 Garritan Personal Orchestra 5 is the choice if you’re looking of the best orchestral plugin that’s light both on your pocket, and drive. It sounds very good, runs on its own sample player, and is small enough to fit on a standard laptop drive. If that’s what you’re looking for, check it out! 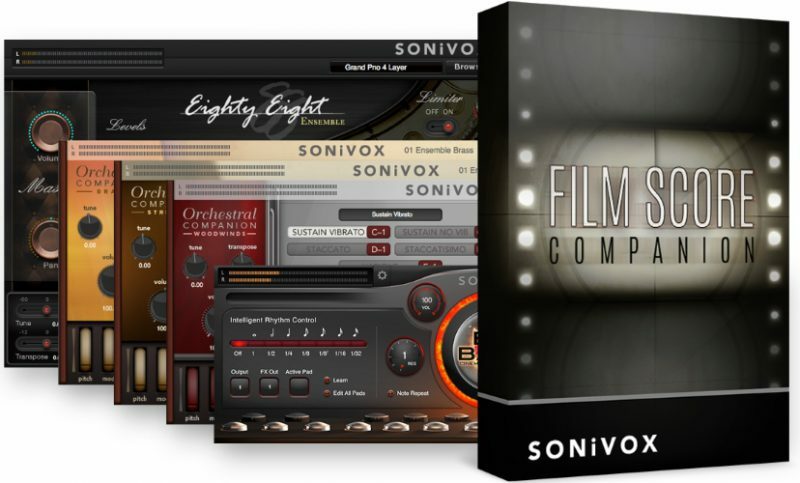 If you’re looking for a premium sounding orchestral plugin package for cheap, check out the the SONiVOX Film Score Companion. This package is actually a collection of 5 plugins, each dedicated to strings, brass, woodwinds, percussion, and a Steinway 9 foot grand. You could also purchase each of those plugins separately for under 60 dollars each, but you’ll save almost half the price if you get them all together in the package for just under 160 dollars (normally 300 dollars), which one would think is one of the best values out there right now. And the nice thing about it, there’s no catch. I’ve used these plugins and found them perfect for what I need. Let’s take a closer look at them. SONiVOX is pretty well known. They’re known for making some really good plugins that are high quality yet won’t break the bank. In this case, each of the plugins featured in the pack sample real orchestral instruments. They have keyswitch controls so you can program whatever articulations you need. For instance, in the Brass plugin, you can assign keys to trigger sustain, sustain mutes, sforzando, staccato, staccato mutes, and marcato. Strings and Woodwinds have similar articulation controls particular to the instruments themselves. And the interfaces gives you the ability your typical ADSR controls, as well as dedicated filters, effects, tune, and transpose controls. There are also several presets for each plugin that will load up the style, and keyswitch parameters of ensemble that you want to play, or you can create your own presets if you want. The Big Band Cinematic Percussion is the package’s percussion plugin, the sounds in them are very nice and modern, and it even has an “Intelligent Rhythm Control” feature to keep the samples playing in pocket. And as I mentioned, you get the sound of a real Steinway 9 footer in your DAW with the Eighty Eight Ensemble 2. In order to run the plugin, it’s recommended that you have you have at least either Windows 7 (SP1) or OS X Version 10.8 or higher. The plugin is one of the more lightweight plugins out there in terms of processing power, but it’s still recommended to use it on minimum Dual Core 2 GHz, Intel Core i5 or i7 Recommended, with at least 2 GB of RAM. Each plugin installation takes between 5 to 15 GB of space (depending on the plugin). But to get the entire package, you’ll need about 49 GB of free space total. One of the definite positive things about this plugin is that it doesn’t rely on Kontakt. It uses its own sample player, something which we know some producers will appreciate. Any downsides? For strings you only get ensemble sounds, no solo. The SONiVOX Film Score Companion is certainly another great option. More intended for the budget buyer. You can use it in any music production and for film score. It would lack certain advanced features like the ability the create special effects, drones, loops, and other orchestral effects that other orchestral plugins would have. But this plugin is, in my opinion, the best orchestral plugin if you’re looking for a no frills professional sounding plugin for less money. 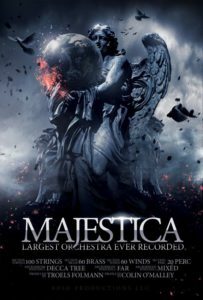 Of all the words that could be used to describe 8Dio Productions Majestica, “massive” is perhaps the most appropriate. Featuring a staggering array of orchestral instruments that includes strings, brasses, woodwinds, and percussion, this Kontakt library’s 23.5 GB of hi-res content will take up a good chunk of your hard drive. Small wonder then that 8DIO claims it to be the largest symphony orchestra ever sampled. But Majestica is so much more than just about file size. Most of its 240 players are clearly designed for maximum sonic impact, giving you the huge, larger-than-life sound typical of the biggest Hollywood blockbusters. A total of 240 individual “players” make up the Majestica collection. A hundred string instruments and ensembles are provided, along with 60 brass, 60 woodwind, and 20 percussion groups. It also features a variety of useful articulations, including legato, bends, rips, arcs, shorts, and more. These greatly add to the expressiveness of the instruments, making Majestica so much more compelling than your average sample library. The string collection is perhaps the only part of Majestica that contains anything that could remotely be called “delicate”. While most of the other libraries consist mostly of powerful and assertive sounds, the string library provides some welcome contrast with its variety of soft and expressive textures. All pretenses at mellowness are thrown out the window in the percussion selection, which is as big, bold, and bodacious as they come. The brass selection is equally powerful, with strident horns that help put the “majestic” into “Majestica”. Even the woodwind section can hold its own in the sonic department, cutting through the densest mixes with depth and richness. The size and range of Majestica is understandably what garners the most attention. Users that have wondered what a sampled full orchestra sounds like can’t help but be impressed by the sheer immensity of Majestica. Others were equally impressed with the amount of expressiveness on tap. Even though it is clearly designed for maximum sonic impact, many users appreciated the library’s ability to produce delicate and subtle nuances. Those with a predilection for low-end are absolutely thrilled with the percussion ensemble, which compares favorably to even the biggest dedicated libraries. In fact, some users have shelved their go-to percussion sound sources, opting to use Majestica exclusively in their productions instead. Majestica is the perfect choice for composers, film scorers, and music producers that like their orchestras big, loud, and dynamic. Its price might cause some to consider other alternatives, but at the end of the day, very few orchestral libraries can deliver the range, complexity, and power of Majestica. 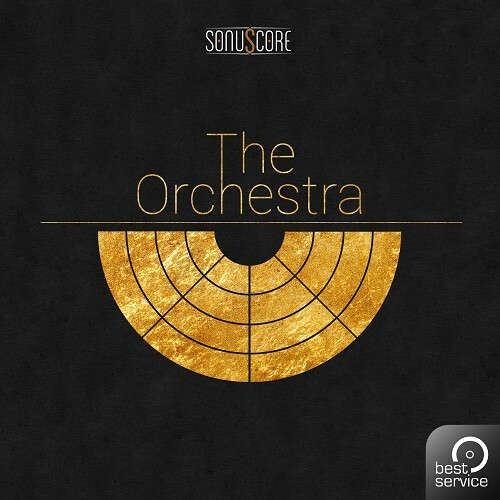 Best Service The Orchestra is another Kontakt orchestral library that aims to bring all the pomp and grandeur of a full orchestra into your DAW. Playable from the full version of Kontakt 5 as well as from the free Kontakt Player, it offers a pretty comprehensive range of individual instruments and articulations. Most any instrument in The Orchestra can stand on its own as far as sound quality and expressiveness are concerned. Richly detailed, this collection is as close as you could get to a real orchestra in a sample library. Furthermore, it is made even more expressive with the powerful and innovative Ensemble Engine. Sonuscore’s Ensemble Engine harnesses all the range and power of the onboard instruments, giving them unparalleled detail and expressiveness. Consisting of several arpeggiators and velocity envelopes, the Ensemble Engine makes it possible to produce orchestral pieces with astounding richness and realism. A wide variety of tonal colors, textures, and rhythmic phrases can be produced in quick succession, and subsequently assembled into a full arrangement. Unlike many other sound libraries, The Orchestra gives you full control over articulations and orchestrations, eliminating the need to rely on prerecorded phrases. Feed a string of notes and chords into any of five instruments, and stand back as the breathtakingly beautiful music just pours out. The Orchestra is the result of an in situ recording process that meticulously captured the performances of no less than 80 musicians. With just the perfect amount of live natural bleed between the instruments, these sampled recordings enable you to replicate the feel of a real orchestra to an amazingly accurate degree. Many users of Sonuscore The Orchestra have expressed their appreciation for the richly-detailed sounds produced by the library. One called it a “sheer joy” to use, preferring its versatility and authenticity over “fixed phrase” orchestral libraries. Other users welcomed the ease by which unique and compelling orchestral arrangements could be created. Even with its relatively modest 6.85 GB sound set, The Orchestra is capable of some pretty powerful and impressive results, mainly due to the Ensemble Engine. The Ensemble Engine is of course one of the most appreciated features of The Orchestra. The various arpeggiators and instrument groupings often served as springboards for new and inventive ideas, many of which wouldn’t have been created with other libraries. The Orchestra is by no means the biggest orchestral library around. In fact, its bundled content pales in comparison to that of other libraries in terms of scope and grandeur. But the addition of the Ensemble Engine definitely gives The Orchestra an edge when it comes to idea generation. This feature greatly expands the capabilities of the core library, enabling you get a lot more mileage out of the somewhat modestly-endowed instrument selection. 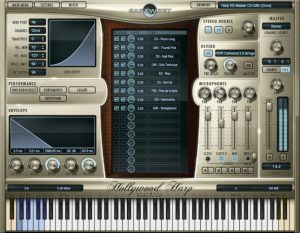 If you’re looking for the tried and true professional level orchestral plugin, the EastWest Hollywood Orchestra series is pretty much that. EastWest has been around for a long time, and they’ve been used extensively in many professional grade productions, from classical to contemporary, film and game. It’s not a specialty orchestral plugin, meaning, it doesn’t just focus on one style of composition or production, but its strength is in being a comprehensive orchestral collection to take on whatever music project you might need to work on. And like the name suggests, the sound is really the sound of Hollywood orchestra that lives right inside of your DAW. Let’s look a little closer. Hollywood Orchestra consists of all the standard instruments in an orchestra. The string section gives you 1st and 2nd violins, violas, celli, and basses. The brass section has trumpets, trombones, cimbasso, tuba, French Horns, and low brass. Each of the brass section, except the latter, can be played via MIDI controller in ensemble or solo as well. The plugin also gives you a selection of woodwinds, like flutes, clarinets, and double reeds, plus percussions like cymbals, drums, metals and woods. All the samples were recording at the renowned Studio 1 studio at EastWest Studio, with high-quality sounds with multiple articulations to choose from. These include pizzicato, ricochet, marcato, spiccato, and others. The entire collection of the series is actually the result off five years of professional production, which kind of shows you the level of detail that went into this thing, and is acclaimed and used by some of the top directors and film composers in Hollywood. In addition to the great sounds, the plugin utilizes the custom “Play” interface, using its own dedicated sampler. This is designed to give you deep access to the sounds in the library, while being easy to use, even for the most demanding production projects and clients. The plugin is about 37 GB is size, total (for the Silver Edition), which is quite decent. It’s larger than some of the other options on this list because, in my opinion, it’s more nuanced. Also, they creators used 5 mic positions per instrument when recording the samples over the typical 2 positions. The typical processor requirement is to be expected, a dual core Intel Core or AMD at minimum, PC or Mac. But my suggestion is to use at least 8 GB of RAM on this thing, because it can be quite demanding on your resources. EastWest Hollywood Orchestra series is definitely another great orchestral plugin to get. It’s one of the higher budget plugins out there, and certainly one of the most professional sounding orchestral sounds you can get. If you want uncompromised performance, and you have a fairly powerful system with lots of space, take a look at it! If you’re a music producer or composer, at some point you’ll have to use some amount of orchestral instruments in your music. This can range from high energy brass sections in a trap beat, to strings in a pop or world track. But there are lots of orchestral libraries out there. So where to start? Well, first let’s determine what kind of music you want to produce. Starting with this gives you the ability to properly isolate what you want to achieve, and eliminate what you do not need from an orchestral plugin. Let’s do a brief breakdown before we jump into the actual plugins themselves. If you plan on working on soundtrack music, most likely you’re a game or film score music producer. While a general orchestral library that contains all the instruments will be a good choice, it’s a good idea to seek out plugins that are best suited for this kind of music production. They will not only come with the basic strings, woodwinds, brass, percussion libraries, etc. You’ll get the kind of special effects normally used in cinematic music, like drones and pads that are designed to give you that “soundtrack” sound. Additionally, the sort of post production work that goes into these sort of libraries (mixing, reverb, etc.) will be consistent with the sort of music you want to make. Some film and world music are written in the style of a classical orchestra. In which case, you need an orchestral plugin with libraries that are, for the most part, unadulterated by any post production enhancements that you’d find in the best plugins for film music or game music. These plugin libraries are often produced so that you can add your own effects to it as you’d like. They can also be good for any sort of music that requires high quality orchestral libraries including game, film, soundtrack, and pop. So these “purist” plugins, from high budget to low, can be a great “all-rounder” plugin for you as well. There are a few orchestral plugins that are primarily geared toward contemporary music. This can be pop, or electronic music styles. Unlike the plugins you’d use for a classical track, they have that “modern” sound to them that’s useful for working on any kind of music that’s not necessarily meant for the Carnegie Hall, for instance. There are a few other things to consider as well. Some orchestral “plugins” are actually libraries, which you load into a sampler. The most common sampler there is, is Kontakt Player. In the plugin descriptions, you will see whether or not the library requires the Kontakt Player. You can download the sampler here for free. How much space do you have on your drive? Some orchestral plugin libraries can go up to into the hundreds of GBs. In this list however, we decided to limit the range from between 10 GB to 40+ GB. Can you get good orchestral sounds for a just 10 GB? Sure. Just keep in mind that you would have to cut back a little on things like the amount of articulation you can get in your strings. But the plugins I’ve chosen in this list with just 10 GBs are very good, and can be quite suitable even for demand orchestral music production. However, if you want to get the most out of your money, and you have the laptop, computer, or external hard drive to store it, it’s a good idea to get a larger library. That pretty much sums up what you need in a orchestral plugin library. Otherwise, it’s just a matter of personal preference. But my aim was to strip away personal preference, and narrow down the choices to 5 specific orchestral plugins so that you will find the winner for your personal music production library. If the above weren’t to your liking, take a look at the following for further options that we couldn’t ignore. 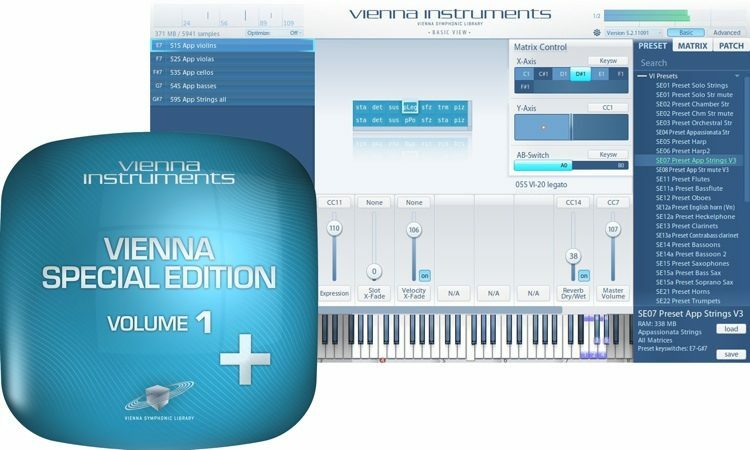 If you want the ultimate orchestral plugin, in our opinion, it would be anything from Vienna Symphonic Library. For this orchestra plugin guide, the VSL of choice is the Special Edition Volume 1, which is one of the cheapest and best value you can get for this kind of profession plugin. 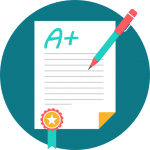 The company that makes these libraries have been around for a long time, and since the first release VSL has expanded to so many different products that there are probably more forum discussions about “which VSL to get” than there are product reviews. That’s because each one of the products are truly good, and not just good, but evergreen. If you purchase a VSL library now, you know that you have an orchestral library that will sound good no matter what the style of music the world is demanding of you. That’s because of the way that company records its samples, pure and without any “additives,” so to speak, leaving you the producer with all the power to sculpt and hone your orchestral sounds as you like them. So while a lot of plugins might have that “modern” sound, this plugin tends to have that “timeless” sound that musicians like Herbie Hancock, a VSL user, rely on. That’s why I certainly recommend this plugin. Let’s take a closer look. The Special Edition Volume 1 is a good start if you’ve been trying to find out which VSL to get. One would get this, then expand from here as needs be. What you get is over 40 GBs of high quality classic samples that have been meticulously sampled like it was a savant’s life project. There are 28 instruments and ensembles in the collection. This includes strings, brass, woodwinds, harps, drums percussions, and a Bosendorfer grand piano. Each of the strings, brass, and woodwinds sections can be played either as solo or ensemble, so you get the best of both worlds. And while every instrument section in this orchestral plugin sounds professional, it’s the string section that is probably the most famous. It’s pretty much unparalleled by any other orchestral plugin out there, particularly when it comes to the legato performances. There are real note transitions, that kind of slide and change that can only get from a string player’s fingers moving around the fingerboard, and not just “almost-authentic” sample trigger by a key on your MIDI controller. This is thanks to the algorithmic special sauce VSL uses to program each sample. We don’t know how it works, but experts agree, it’s very nice. To list out all the instruments and features would be impossible for this orchestral plugin guide, but you can take a closer look at the link below. Other than its fairly hefty size, however, it doesn’t have such a high spec requirement. The manufacturer says at least 2 GB of RAM is needed, and at least an Intel Core duo or AMD equivalent. But we know better that. The plugin can run in standalone mode as well, as well as AAX Native, RTAS, AU, and of course VST. It uses its own dedicated sampler as well, and is considered a very efficient plugin that won’t be too frustrating to run on your system. This is probably the best orchestral plugin there is out there, and it has been the king for a while. While it may not have the special effects for film and game music, it’s a plugin designed to do one thing and do it well: play realistic orchestra music without the need for hiring an entire symphonic orchestra for your project. If you’re in the market for that! Garritan is a name that should be familiar with anyone who’s ever shopped around for an orchestral plug-in. One of the leading developers of software orchestral instruments, it has played a major role in bringing high-quality, affordable orchestral sounds to the masses. 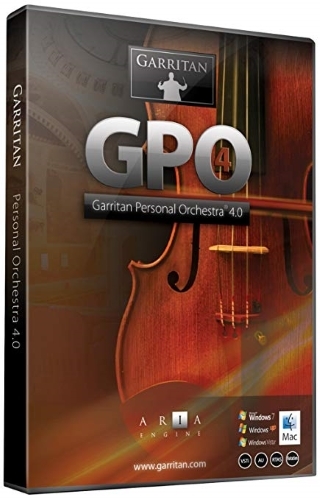 With Garritan Instant Orchestra, they made it even easier to incorporate lush and dynamic orchestral parts and performances in your own productions. Right from the get-go, it is clear that Instant Orchestra is designed for simplicity and ease of use. The various instruments are conveniently pre-grouped, so all you need to do is select the ensemble you want and start playing. And with most orchestra sections well represented, fleshing out full arrangements is easier than ever. Even novice composers and music producers should have no trouble getting up and running with Instant Orchestra. There is no need for complicated routing and instrument set ups, and the modest selection of parameters helps keep you from getting bogged down in technical details. Those that have struggled to come to grips with massive, multi-gigabyte orchestral libraries will appreciate just how easy it is to get started with Instant Orchestra. You can simply select any one of the many pre-grouped instruments and start composing or recording immediately. The interface is fast, responsive, and intuitive, so you can focus on the creative process without having to tinker with various settings. The orchestral effects are among the most useful features of Instant Orchestra. Everything from glissandos to string chaos effects is provided, giving you the ability to create unique and compelling themes and passages. Even professional film scorers and music producers with access to a wide range of quality orchestral libraries seem impressed with the sounds and features of Instant Orchestra. For many users, having the bulk of the pre-production work already set up and ready to go definitely speeds up the workflow and enhances efficiency. Other users appreciated wide range of mood-based presets that make it easy to come up with specific feels and atmospheres. Whether used on their own or as starting points for more creative experimentation, these presets reduce the time and effort required to create amazing music. Garritan Instant Orchestra is one of the simplest and most straightforward orchestral instruments/libraries around. A surprisingly capable plug-in that does exactly as advertised, it also sounds pretty impressive given its relatively low cost. 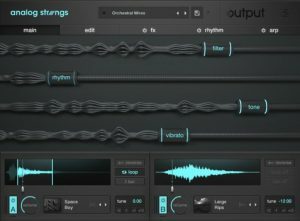 If you’re looking for an orchestral strings plugin that can actually supply you with hours of creative inspiration for your electronic music production, take a look at Analog Strings by Output. This plugin is pretty exciting, not just because of the cool interface, but because of the plugin’s sonic potential. Starting from high quality samples from real strings performance by professional orchestral musicians and soloists, you can shape and morph your sounds. And you can combine these sounds with the high quality samples of vintage synths. Genuine orchestra samples. Genuine vintage synths. Plus the power to warp and morph them as you like. Nice. Let’s take a closer look. Analog Strings is a unique orchestral plugin. Unlike many of the others mentioned in this guide, the plugin’s intention is primarily to manipulate the string sounds sampled. And it’s a fairly significant sample, totaling about 39 GB (20 GB when compressed on your drive). The interface gives you controls similar to a synthesizer and sound designer. You have two arpeggiators, two tape loopers, an advanced modulation matrix, a flux sequencer, and a four macro faders which can be automated or controlled via your MIDI controller. The plugin has around 500 presets to choose from, which is a lot. But you can simplify your choice between the three categories: one shots, atmospheric pads, and tape loops. Each category is further broken down into three more categories for your sound sources: orchestral, synths, and “creative” sounds. These categories themselves have further aptly named preset sounds which are easy to select and choose from. And you have two microphone positions of close and far. So this GUI definitely makes creative sound designing fun and accessible even if you’re not familiar with the plugin itself. Analog Strings runs on Kontakt Player 5.6.5 or later in standalone mode or VST. It can support both Mac or PC, but like most of the plugins in this guide, you’d need at least a dual core Intel Core processor for it work, or an AMD equivalent (Athlon 64 X2 or higher). And it’s recommended to have 8 GB of RAM. It works on either Windows 7 SP1 or later, or OSX 10.10 or later. Heavyocity Gravity is another very unique orchestral plugin for music production. It’s an ambient-centric virtual instrument for epic orchestral scoring. For that reason, it’s best application is film-scoring. But EDM and electronic music producers have used this to take their productions to the next level. In the plugin you’ll get an array of orchestral samples for percussions, pads, and sound effects. But these samples exist mainly for the purpose of being punished and twist almost beyond recognition, to truly gruesome and ecstatic ambient textures that are really out of this world for an orchestral plugin. There are many instruments featured in Gravity, but you might not be able to recognize them at first notice. Even just over 12 GB in size, the plugin features all the main instruments of a normal orchestra, but are organized into four main groups based on the sort of sonic effect that you want: Hits, Pads, Risers, and Stings. The originally sampled instruments and ensembles are only suitable as the raw material for you to warp and twist to unrecognizable and even atonal variations. The hits section, for instance, contain powerful percussions that you can use for earth shattering slams, crashes, and impacts for your music or score. In terms of pads, you get a choice between simple pads and complex pads, both which sound other worldly, dreamy and lush. Stings are a collection of 390 experiment sounds. They are a mixture of atonal and tonal metallic hits, sweeps and swooshes with the ability to shape and hone them to whatever evolving motion you want. But perhaps the most impressive sound, to me, comes from the Risers. They are not your typical EDM risers, the risers in Gravity will literally raise hell in your music. If you ever wanted to give you music or orchestral scores the impression that the world is coming to an end, the risers will certainly give you that feeling. Like some of the other orchestral plugins mentioned in this list, Gravity works with Kontakt Player 5.5 or later, which is good if you’re already familiar with the ubiquitous sampler. 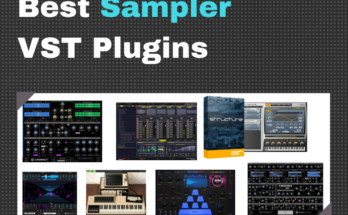 The plugin can run in either standalone mode or VST, and supports AAX, AU, RTAS, and DXi. The minimum requirement for the plugin to work is at least 4 GB of RAM with at least a dual core Intel Core processor, one OS X10.8 or Windows 7 or later. 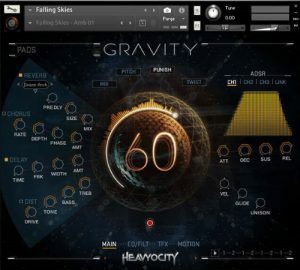 Heavyocity Gravity is, in my opinion, one of best orchestral plugins out there, and is certainly the most exciting when it comes to scoring. The interface is easy to use and the sounds are amazing. If you’ve been wanting to add some grit and trauma to your productions lately, you should definitely check this out. ProjectSam Orchestral Essentials 1 is one of the most highly rated orchestral plugin libraries out there, and continues to enjoy the popularity it deserves among film scorers and game music producers, as well as in pop music. We can promise you that much of the orchestral brass, strings, and woodwind sounds you’ve heard in a lot productions coming from ProjectSAM. It was the first real premium orchestra library I personally got into, and found it useful for a wide variety of styles and genres. So a best orchestral plugin guide certainly could not be complete without the mention of a ProjectSAM library, with Orchestral Essentials 1 being the first one you should get. Let’s take a closer look. Orchestral Essentials covers the full standard orchestra, and then some. What you get are a collection of strings, brass, and woodwind ensembles, with a selection of classical and world percussion instruments. They are recorded and multi-sampled in a real concert hall, performed by a professional orchestra. The samples themselves give you a great selection of controllable articulations, including expressive legatos. In addition to these, you also get some really stunning special effects, like drones and hits, and other sounds designed specifically for cinematic and game music. One of the cool things producers like about this library is that they can almost literally work solely with the plugin itself to make orchestral music for film, as well as provide special effects. There are no foley sounds, unfortunately, but the Dystopia Sound Design library has some great Hollywood style special effects that film and game ready. It would be impossible to run out of inspiration because the library is a lot to get through. The plugin also contains a church organ, a really enchanting grand piano, harpsichord, and harps. The libraries themselves are really an “essentials” plugin with a selection from each of ProjectSAM’s other great products like the Symphobia, True Strike, and Orchestral Brass series. So think of it like a “best of” collection at a decent price. The plugin runs inside of Kontakt Player, so it requires at least version 5.5 or later. It can work on either Mac or PC, with OS X 10.9 or later or Windows 7 SP1 or later installed on your system. And like with most other plugins, it’s advised that you have at least an dual core process from either Intel or AMD (Intel Core 2 Duo/AMD Athlon 64 X2 minimum) with at least 4 GB of RAM. ProjectSAM Orchestral Essentials is a great buy, in my opinion. The plugin is good for a variety of styles of music, so it’s a real Swiss army knife of an orchestral plugin. Recommended if you certainly think you’ll get into game and film. Another great popular budget option if you’re looking for a good orchestral plugin is the IK Multimedia Miroslav Philharmonik 2 CE. CE stands for Classik Edition. As there are more than one versions of this plugin, the Classik Edition is the entry level version to their fuller sized versions, which can cost upwards of 500 dollars. But if you’re looking for something more compact, with just 10 GB of samples, you get some really high quality sounding orchestral instruments in your DAW. Since it was introduced to the market, the Miroslav Philarmonik has been a staple for many producers and composers. The sounds are realistic, and sampled from a real orchestra, with plenty of articulations to choose from for your composition. Let’s take a closer look. Like we said, the Miroslav Philharmonik is a lightweight orchestral plugin. With just 10 GB you get a modern sounding orchestra consisting of all the standard instruments, totaling 733 individual instruments. That’s impressive for the size. And like you’d expect with a good orchestral plugin, it has the ability to select switchable articulations. You can perform your orchestral parts for various solo instruments or ensembles with a group of keys on your MIDI keyboard, and program the lowest notes to switch the performance between detache, staccato, legato, and so on. The plugin also has eight macro controls, which gives you intuitive access to the parameters that you want to control. The plugin also comes with a few other goodies. Like the ConvoRoom, which, unlike the name seems to suggest, is a convolution reverb with a cool 3D interface. It also has 34 FXs from SampleTank 3, and 4 mastering processors from T-RackS, which would make this plugin a completely “in-the-box” experience. Added to that, there is DAW-like Mix interface. The plugin can run in standalone mode or as a VST. It runs on its own 64-bit engine based on SampleTank 3, so there’s no need to use the Kontakt Player with this. The basic computer requirements for running this plugin is also very similar to what you would expect. If you’re on a Mac, make sure you’re running at least an Intel Core 2 Duo or higher, with 4 GB or RAM minimum. The same would be so for Windows, with a comparable AMD processor (Athlon 64 X2 or higher). 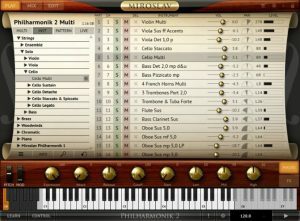 The IK Multimedia Miroslav Philharmonik 2 CE is constantly reviewed as one of the best orchestra plugins out there. Whichever version you get, you probably wouldn’t be disappointed. But the CE is certainly a great choice for the budget minded composer that an orchestral plugin without having to break the bank. 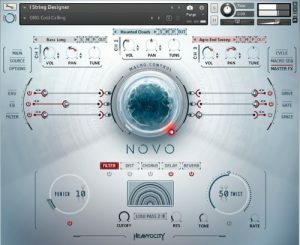 NOVO is a string sample library that works with the free Kontakt Player. It has around 38 GBs of high quality samples of a complete orchestral string section. This includes the instruments violin, viola, cello, bass. But you also get ensembles like “high ensemble” and ”low ensemble.” What makes the plugin really feel modern is its GUI. At the center is a massive control called the Macro Control. You can use it to control the String Designer and Loop Designer, as well as to control various parameters within the plugin for each channel. The Marco also controls a sequencer, which you can use to program interesting and modern sound effects. These include stutters, swells, and evolving motions. But another cool option that we like that really makes it a modern plugin is the Loop Designer. You can use it to craft the 400 loops that the plugin comes with. This is an especially good feature for coming up with ideas for melody and accompaniment on the fly, after which you can shape and mold them to suit your musical purpose. In terms of system requirements, NOVO can run on either Mac or Windows. You’d need to have at least OS X 10.10 or higher to run it efficiently, with the bare minimum of an Intel Core 2 Duo, and 4 GB of RAM. If you’re on PC, you should have at least Windows 7 installed, with either an Intel Core Duo or AMD Athlon 64 X2, with 4 GB of RAM. The plugin is available for direct download only, and requires at least 25 GB on your drive when compressed. This is a great orchestral plugin in my opinion, and one of the best on the market. It starts out at just under 100 for individual packages (like Intimate Strings), but expect to pay over 500 for the full bundle. If you’re looking for only strings, and you want that modern Hollywood sound or epic sound for your production, this one of the hottest ones to get right now. Big Fish Audio is one of the recognized pioneers in the third-party sample library industry. Back when sample collections were measured in megabytes rather than gigabytes, the company made a name for itself with its outstanding string of sample library releases. 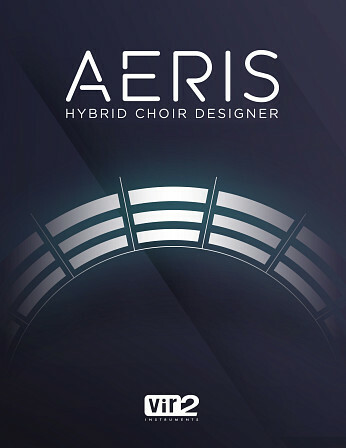 With Aeris: Hybrid Choir Designer, the company proves that it still has what it takes to compete with the current crop of sound library producers. Aeris boasts of an array of exquisitely-recorded male and female choirs and vocal soloists. Designed to take full advantage of Kontakt’s extensive sound shaping features, Aeris enables you to produce lush and expressive vocal parts and textures with ease. All the voices you hear on Aeris were recorded in a state-of-the-art recording studio, wherein a wide variety of vowel sounds and hums were captured in the process. Different articulations for each were recorded as well, including vibrato, non-vibrato, and true legato performances. The Aeris does more than just straight-ahead playback of recorded vocals. Some of the most capable sound designers in the business were tasked with the creation of vocal pads from the sampled choirs and solo performances. The result is an outstanding selection of playable pads that rival the best sample libraries in richness and complexity. Aeris also comes with a slew of sound design tools that could further enhance the library’s expressive capabilities or take things further into uncharted sonic territory if you wish. Four LFOs are provided, all of which could be used to modulate volume, pitch, and pan, as well as low-, high-, and bandpass filters. It even comes with dual sequencers for rhythmic modulation, and eight powerful effects processors for added sweetening or warping. Users of Aeris are quite taken with its ability to cover such a wide sonic ground. One user enjoyed being able to produce everything from realistic solo vocal performances to alien soundscapes, and various other sounds in between. Some users did feel that a few more articulations should have been included. Nevertheless, the base samples provide an excellent starting point for more creative applications. And with its fairly extensive modulation options (the sequencers in particular are especially useful), composers are able to make the most out of the modest range of articulations provided. Aeris is one of those vocal sample library plug-ins that simply sound great right out of the box. The quality of the base sounds is impeccable, and you don’t have to do a lot of maneuvering in order to get impressive choirs and solo vocal parts out of them. Furthermore, the modulation options, the dual sequencers, and the effects section all greatly expand Aeris’ capabilities, making it more than just your run of the-mill choir sample library. MOTU Symphonic Instrument has been around for a fairly long time, and has gotten a good amount of positive reviews on the internet from users from way back. It’s a lightweight plugin, considering that it’s full of high quality orchestral samples. So one of the major benefits of this plugin is evident right away: at 8 GB, it won’t eat up a lot of space on your drive. 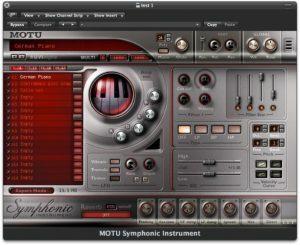 Also, if you don’t have a powerful enough desktop or laptop, yet you still want to get high quality orchestra samples for your music, the MOTU Symphonic Instrument won’t be a complete resource hog. Being that the plugin has been around since 2006, and still works and functions great, practically any computer you load it on will run it without any glitches. So for that reason, and also its popularity (even though fading) the MOTU had to make the list. Let’s take a closer look. Symphonic Instruments has a very extensive collection of instruments in its library, which kind of blows my mind why it’s just 8 GB of content. Anyway, there are strings, which consists of violin, violas, celli, and bass. There’s an entire brass library full of trumpet, piccolo trumpet, flugel horn, French horn, trombone, bass trombone and tubas, again in solo or ensemble format. Woodwinds are just as extensive, flute of different kinds, piccolo, clarinets, oboes, English horns, and bassoons. Each instrument in the brass, strings, and woodwind sections can be played as either solo or as an ensemble. But that’s not all, of course. You can’t have a complete orchestral plugin without percussions: timpani, cymbals, snares and bass drum, gong, tubular bells, mallets, celesta, glockenspiel, vibraphone and xylophone. There’s even two pipe organs to choose from, baroque organ and cathedral organ, two grand pianos, a Steinway and a Yamaha, and historic instruments like harpsichord, piano forte, and viole. To cap it all off, you can program the plugin to perform choral music from its various choirs, women’s, men’s, children’s, plus solo soprano and solo tenor performances. Symphonic Instrument can run on a fairly low powered PC or Mac, but you’d still need to have at base minimum a duo core process and a least 4 GB of RAM. The plugin doesn’t run on Kontakt Player, as it uses its own dedicated sampler to trigger the samples either why drawing in MIDI notes, or via a MIDI controller. It run in formats RTAS, VST, AU, MAS. Like we said, it kind of mindblowing that this plugin is just 8 GB big. The only drawback is that it doesn’t have the kind of articulation controls and depth that you’d find in the large libraries. Also the interface may, to some, seem a little bit dated. Honestly, for the price, there are better options out there, but it continues to hold its own out there as one the best orchestral plugins on the market. This orchestral plugin guide is the result of hours and weeks of combing through the internet. My main source of information was Gearslutz, Reddit’s r/WeAreTheMusicMakers thread, product reviews, and buyer reviews from pro audio owners. We used ratings from online music production stores to determine which plugins were the most highly rated, highly recommended, and most sought after for each category and need. We’ve also use many of these orchestra libraries and VSTs. The result is the amassing of 10 of the best orchestral VST plugins that I think are worth the money. Hopefully, you would’ve found the best one for yourself, based on what you want and need. As you would’ve realized, that there are a ton of orchestral VSTs and libraries. This list doesn’t nearly cover all that exists on the market. But, at the very least, it’s a good starting point, and most importantly, the safest options out there. These won’t leave you disappointed in the least, provided that you know what sort of music you intend to make, and choose your plugin accordingly. If you’re interested in seeing more of my gear related posts, remember to sign up for more updates. Otherwise, share this post with your friends, or with someone you think might find this information useful. If you have any of these plugins, feel free to leave a comment to share your thoughts. And if you have any questions, feel free to ask them in the comments section below.